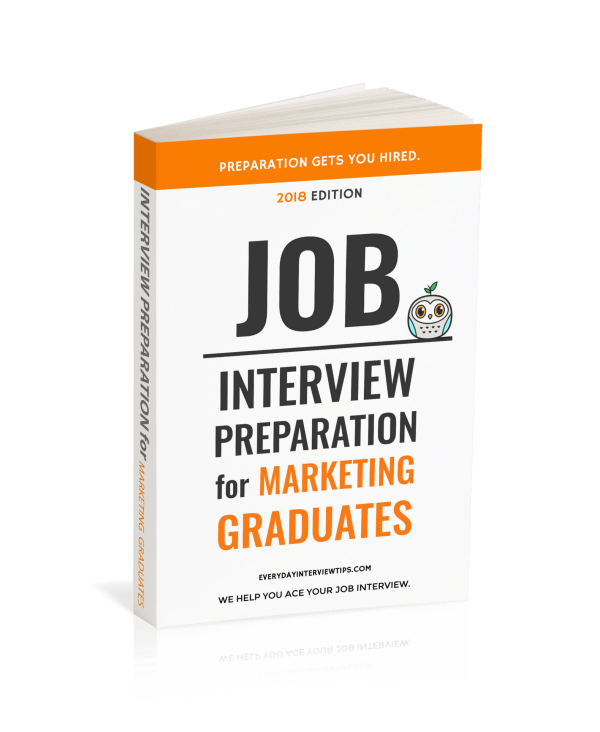 This guide is specifically created for graduates who have no prior work experience in marketing roles and are facing job interviews for the first time. No doubt you’ll have competitive advantage over other marketing candidates if you get this guide and study it thoroughly. If you’re interviewing for a graduate marketing role, get ahead of other candidates with this interview tips guide getting you one step closer to getting hired. 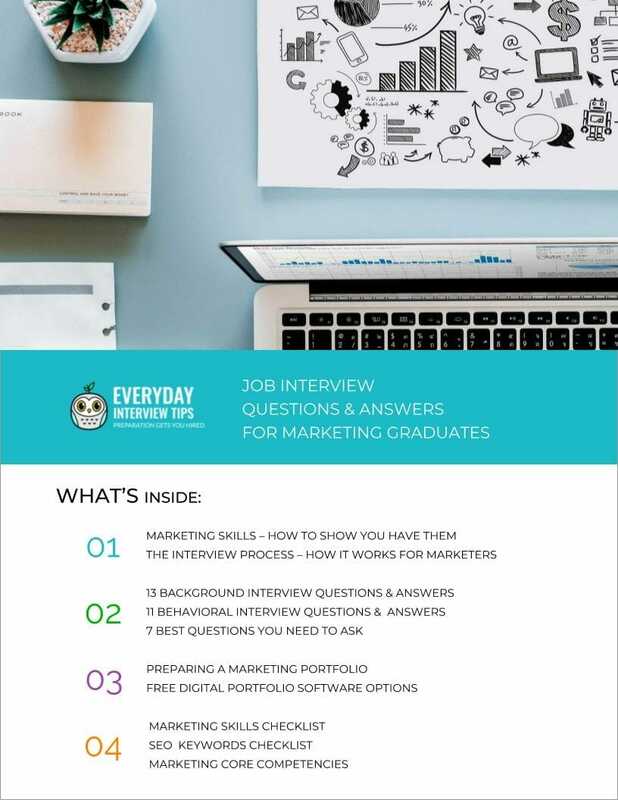 We give you prepared answers to follow and show you the things recruiters are looking for in your answers to job interview questions. Are you prepared to answer background interview questions? How would you answer this question where you will make an impression and stand out? This is an example of one of the most common questions that interviewers ask. In this eBook, we show you how to answer each an every question in the context of marketing. Access the 13 most common background interview questions with prepared answers ready to use.